Go to any Hallmark Gold Crown store nationwide to save big on holiday cards, boxed cards and gift wrap. Now through Sunday, Ocotober 28th, get buy one get one FREE on these items. 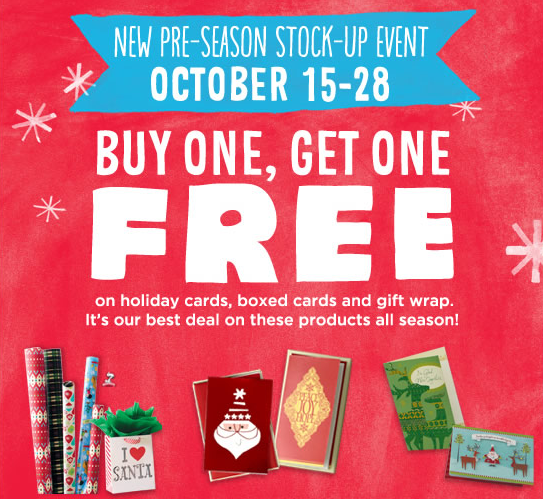 Right now, there is a coupon on the Hallmark Facebook page for $2 off 3 Hallmark cards that can save you even MORE money on top of the BOGO FREE promotion.